Pine Cones As Big As Your Face! Once again, the Wee Warhols Holiday Workshop was a success! This was our 3rd year and it is so much fun for me and the kids. We make tons of holiday decorations and gifts for our family and loved ones. 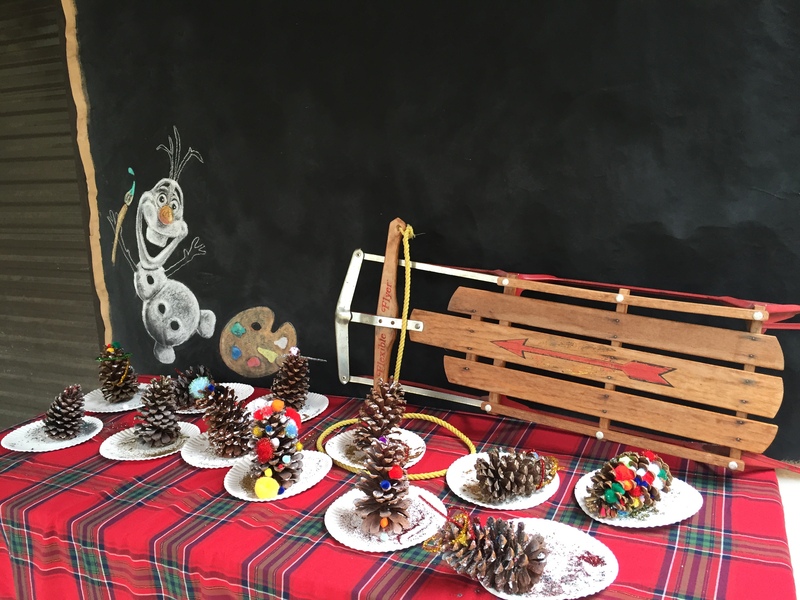 This year the kids made cards, nature ornaments, action art marble rolling ornaments, Christmas trees, stars, decorated pinecone trees…. The list goes on. 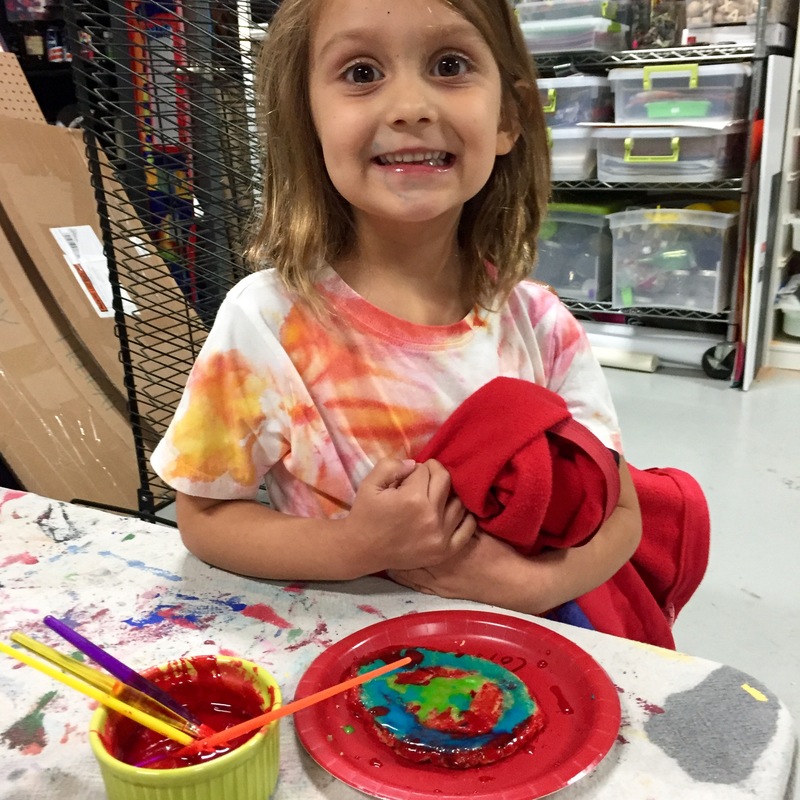 We painted cookies with edible paint. I found the recipe in Jean Van’t Hul’s book The Artful Parent, Artful Activity 56. Paint Recipe: 2 tablespoons water/ one cup powdered sugar, add food coloring. The kids had fun with this, and since we did it after snack time they were fine with letting the paint dry and bringing them home with them. My mom collected around 70 LARGE pinecones in Louisiana last year and brought them to me in Austin, TX. This huge box has been stored in my attic, just waiting to be used. We used them!!! The kids dripped glue all over them, glittered, and decorated them with pom poms. Some of the kids cut Mardi Gras beads and used them as garland. I love the clear acrylic bulbs that you can find at craft stores around the holidays. There are so many possibilities when it comes to filling them. We choose to do an action art marble rolling activity with some groups. Refer to Action Art Christmas Ornaments We also filled some with gorgeous finds in nature (actually “found” at a craft store). This was a simple project that looks so nice. 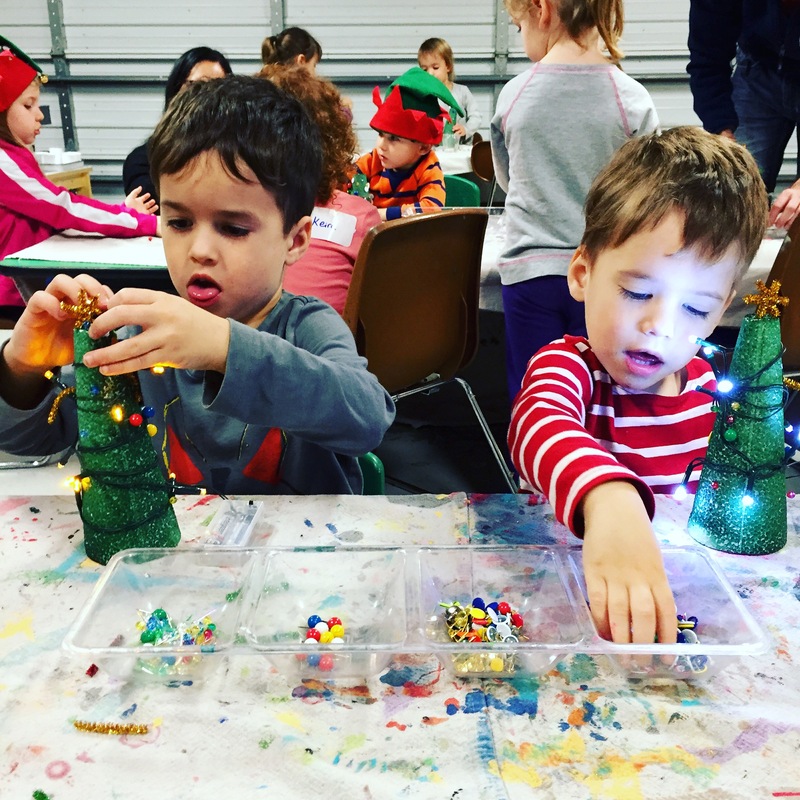 I spray painted styrofoam cones (found at Dollar Tree) green, to create our tree canvases. The kids decorated them with tacks, pieces of pipe cleaners, and some real battery operated tiny Christmas lights. The list goes on, so I will include more photos. Feel free to comment if you have any questions about any of the holiday projects. Happy Holidays!